Shown above as a rasterized mockup, in reality, this dispenser is made from HDPE plastic. Additionally, this dispenser is presented with a closed polyethylene twist top sifter cap. Tangibly, this 396mL product measures 158mm high and 63mm wide and is referred to as a White HDPE Powder Style product. Lastly, the sifter cap conceals the thread finish and neck area. This leaves only the subtle shoulder curve as the other distinguishing feature other than the cap. 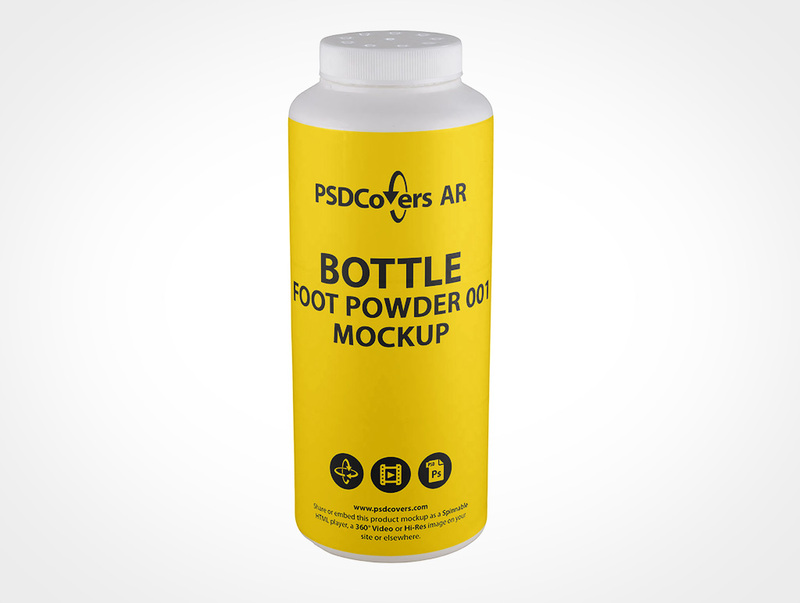 Open Photoshop, use PSDCovers to pick from any of 168 potential BOTTLE-FOOT-POWDER-001 product perspectives. 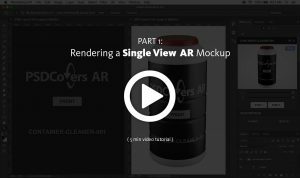 Typically, you will only have to furnish a single artboard for this dispenser product which will be applied to any handpicked shot. Whether your defined pitch is a sticker print, silk screening, PS label, wrap label or spot label it will be directly applied to the bottle. Regardless of which bottle view is decided upon, the concluded result is an multi-layered Photoshop mockup. 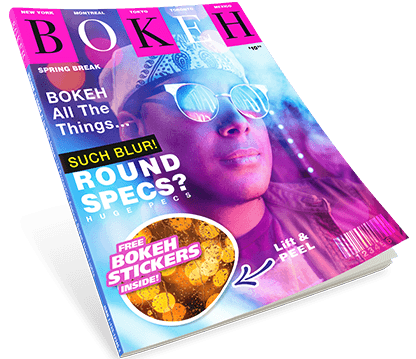 Feel free to change the fully transparent background layer or place your own or handily revisit the colour. Additionally, replicated product gloss from the well lit lightbox are enclosed. Alternatively, you may also output a 360° mp4 of this dispenser or as a virtual VR experience with our embeddable player. 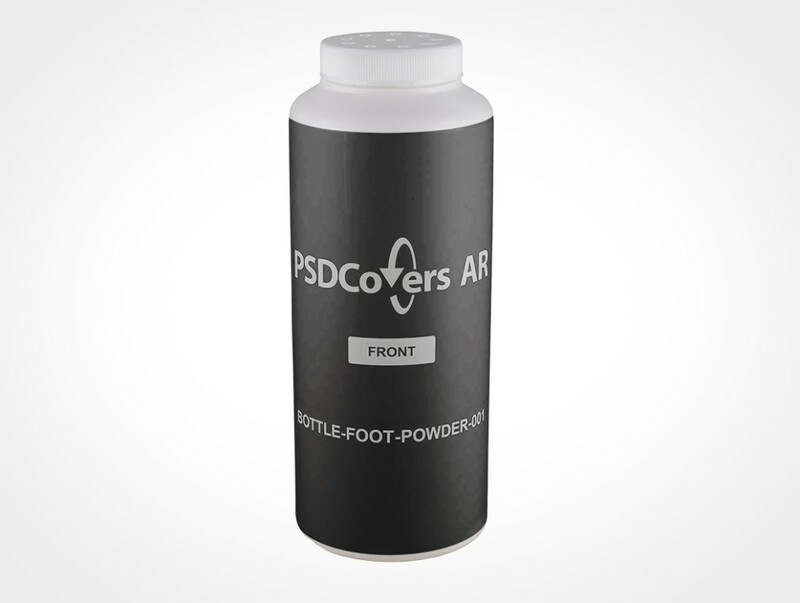 Press the Spinnable Sample button on this page to preview the BOTTLE-FOOT-POWDER-001.